In the end it was probably the sign. 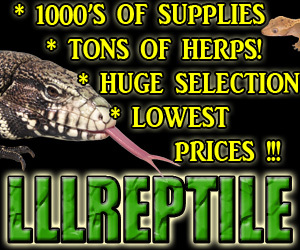 There is a right way to run a reptile education program, and then there are other ways. The first thing any reptile educator needs to do is check to make sure they are not violating either state and local laws, unless they want to get a rather unpleasant education of their own. Erstwhile reptile educator Jeremy Phillips in Louisville, KY learned this lesson the hard way, when on Tuesday, Louisville Metro Animal Services came and took his four venomous snakes away. Animal Services says that while Kentucky law allows those snakes, a Metro Louisville ordinance does not and the local ordinance supersedes the state law. Phillips says someone snaked him out and reported it to authorities, but he now wants a change in the Metro Louisville ordinance. Phillips will face a judge for his arraignment next month and his case is the first of its kind in Louisville. He had been putting on free snake shows, but recently was asking for five dollars to cover costs of snake food and electricity to keep them warm. No one has paid for the shows. Phillips said he just put up a sign advertising his $5 snake shows, which he thinks may have gotten him in trouble.